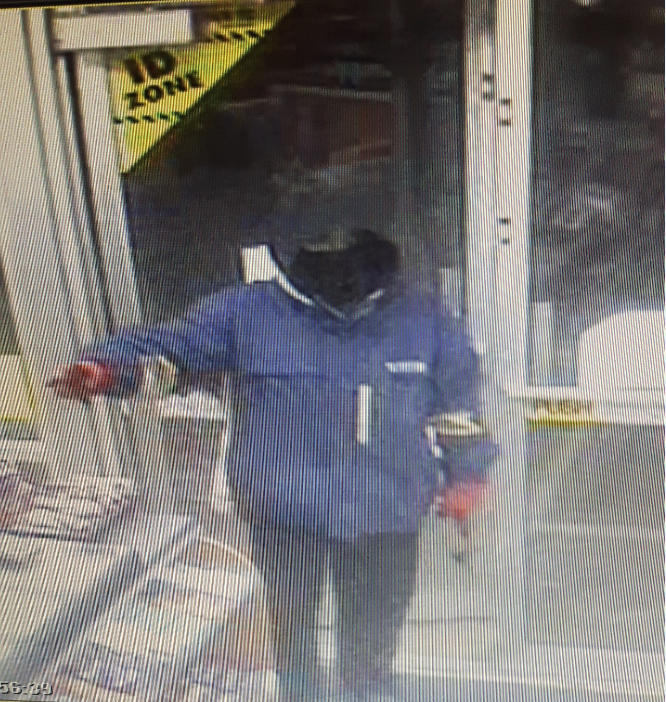 On Sunday, February 12th 2017, an armed robbery occurred at 7-Eleven in Selkirk. At around 7:00 a.m., an unknown subject entered 7-Eleven with a hammer and stole approximately $100. He left on foot northbound from the store. He was wearing a brown and blue winter jacket with the hood up and a black ski mask and was described as Aboriginal. If you can help identify the subject, contact the Selkirk RCMP detachment at 204-482-3322 or submit a tip.